Despite what many organizations think, private cloud planning doesn't just offer benefits to smaller companies or startups. The primary benefit of establishing a private cloud infrastructure isn't cost but agility. Using a private cloud infrastructure for all or even some of your IT and storage needs eliminates many of the traditional silos that have grown up in the development of established IT procedures over the decades. It is true that it's easier to implement an IT and storage structure that isn't built around such silos if your organization is a startup and engages in private cloud planning from scratch. But that doesn't mean an established operation should ignore the benefits an on-premises private cloud can bring. Flexibility in all IT operations is the primary benefit, and every organization can get value from increased flexibility, no matter how long in the tooth or hide-bound it may be. Speed to market, speed of product development and subsequent improvement translates to a better bottom line in most cases. 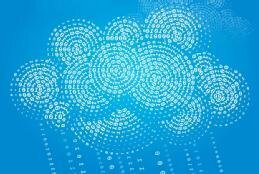 The fact that a private cloud is often built on commodity technology can also result in cost savings, but that may be offset, to some extent, by increased IT labor costs -- your organization needs to pay people to build and maintain it, after all. Purchasing a primarily plug-and-play private cloud infrastructure from a major vendor could alleviate some labor costs if the appropriate service agreements are included in the deal, but that will likely reduce the hardware cost savings of a DIY implementation. If your organization does decide to go down the DIY path, there are many aspects of a private cloud implementation it needs to consider: Virtualization, software-defined networking, hyper-convergence, security, data reliability and the aforementioned staffing costs are on the short list. As in all things, planning is vital and private cloud planning is no different.